If you were given a dessert choice between Mango and Nutella, which would you go for? As much as I enjoy the sweet, refreshing fruit, I must admit that I also have a soft spot for anything chocolatey. Just as I was torn between Mango and Nutella, I saw this new series of Mangotella desserts by Caffe Bene that satisfies both my cravings for Mango and Nutella! After my previous Melon affair with Caffe Bene (Read my review: HERE). 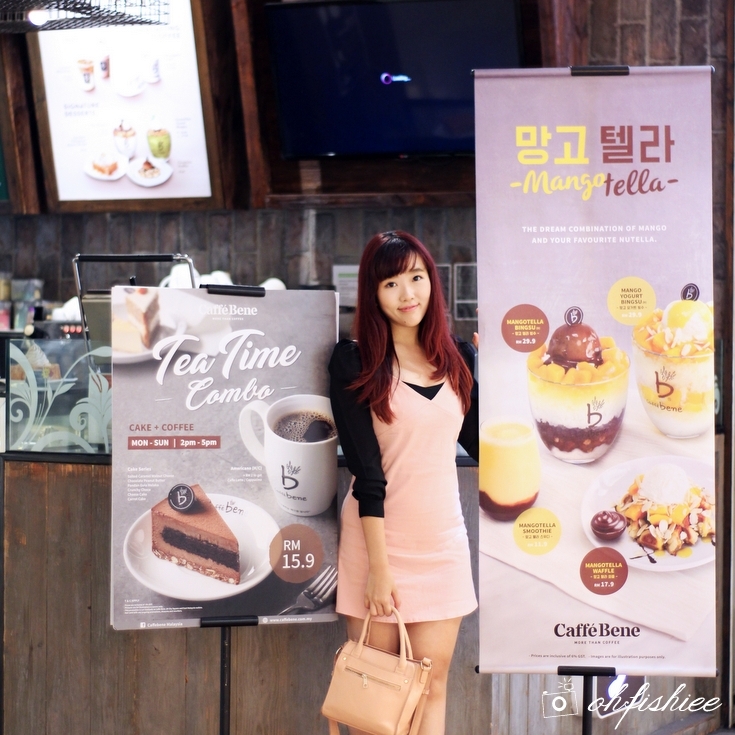 Caffe Bene Malaysia is back with our latest seasonal menu now made available nationwide! 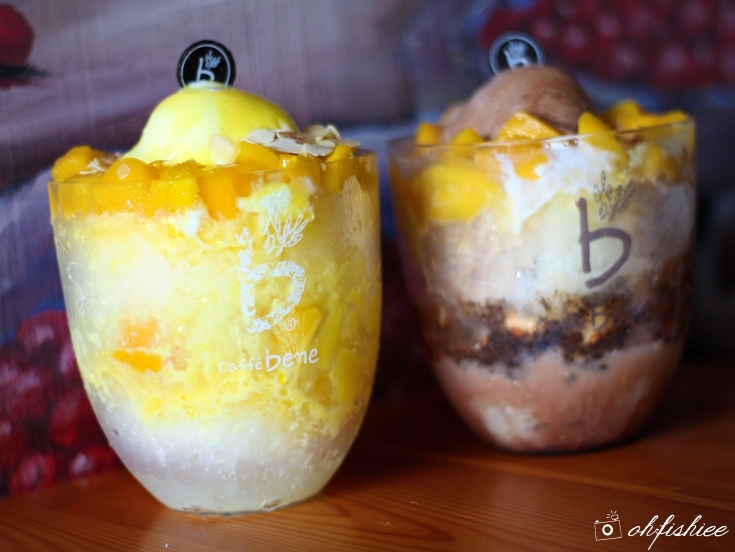 Caffe Bene Mangotella Desserts bring both Mango lovers and Nutella lovers together. 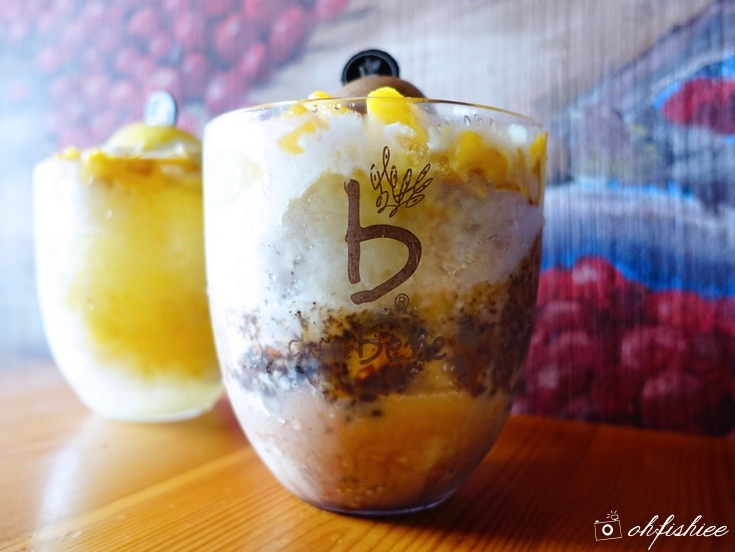 It features 4 seasonal items, including bingsu, smoothie and waffle. 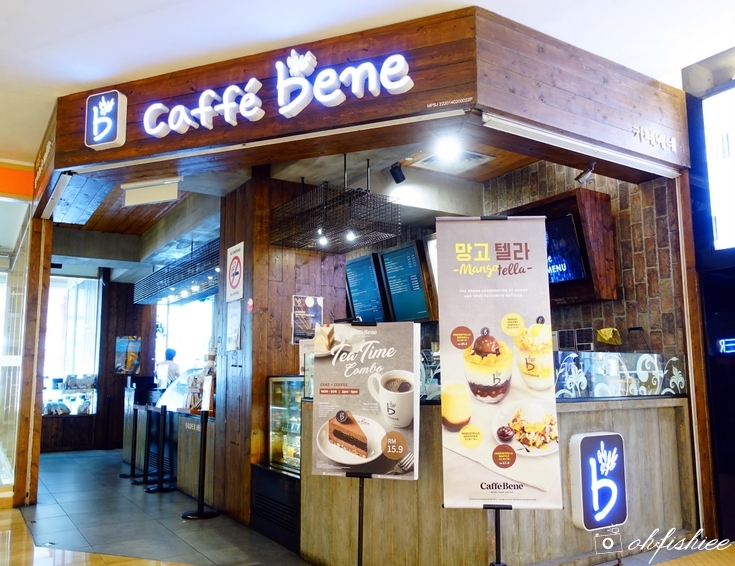 And I am also excited about the introduction of 2 new gelato flavours in Caffe Bene – Yoghurt Gelato and Nutella Gelato! Aww…I’m salivating already! 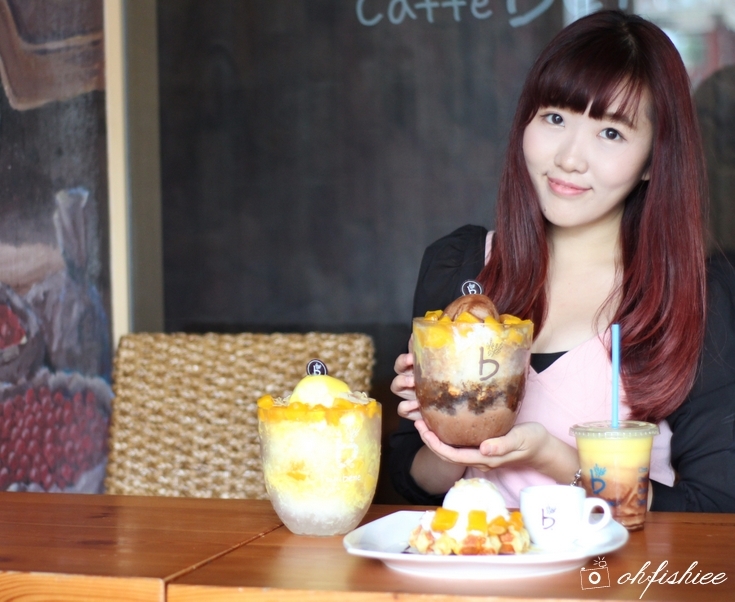 If I were to choose only one item from the Mangotella dessert series, I'd pick the colorful Bingsu. 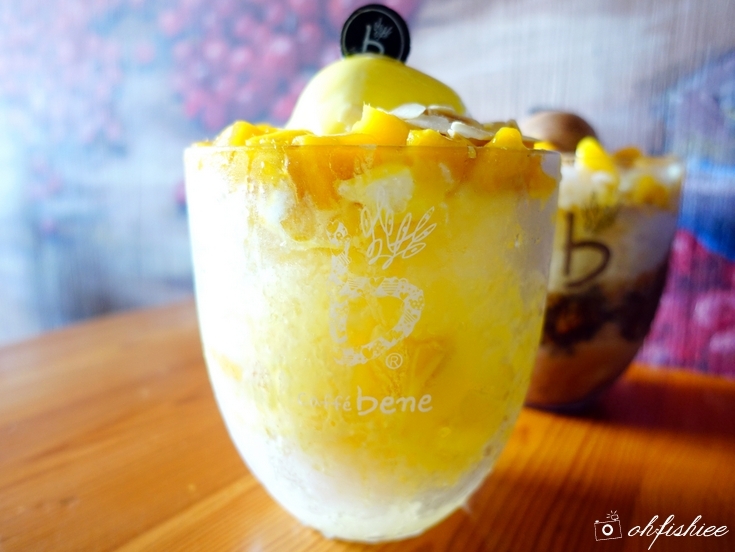 What’s more perfect than digging into a sweet icy Mango Bingsu on a hot sunny day? 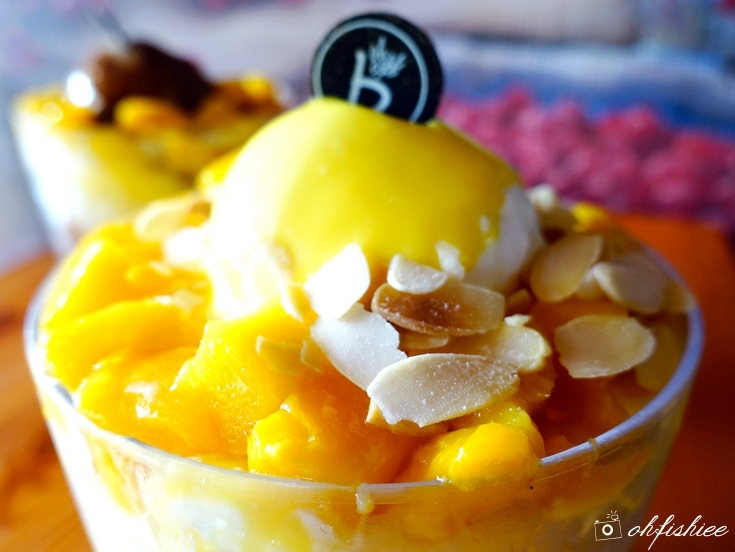 Thanks to the generous topping of juicy mango cubes, almond slices and Yogurt Gelato, the bingsu is creamier and more indulgent than before. 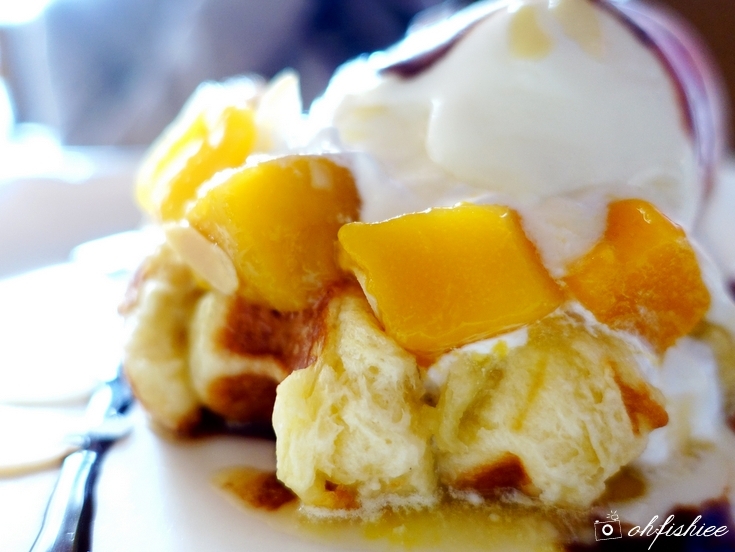 Definitely an indulgent treat for true mango lovers. My favourite thing about this bingsu is the new Yoghurt Gelato -- a soft, creamy and concentrated version of yoghurt. 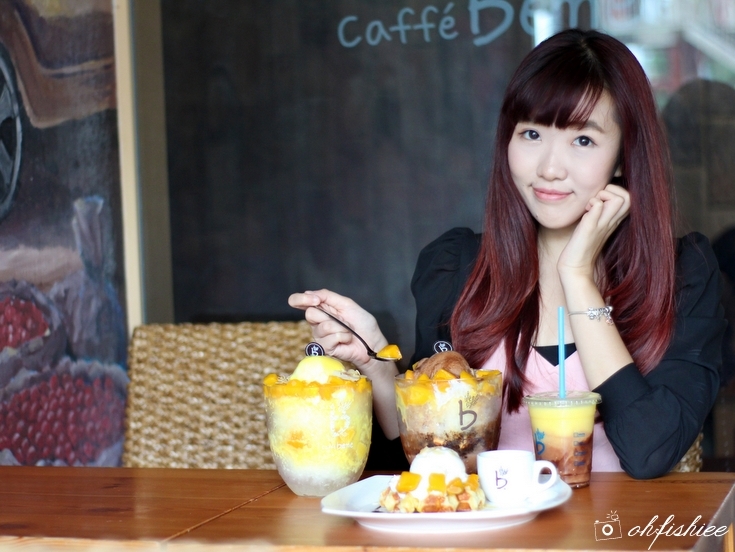 As my partner-in-crime is not a huge fan of mango like myself, we decided to go for another icy cold bingsu for sharing – Mangotella Bingsu. On the base, there sits the crunchy bits of Mixed Nuts, Cookies Crumble and Nutella which add some biting pleasure to the bingsu. Whereas the top part is filled with sweet mango cubes and Nutella gelato. The taste? A dream come true for Mango and Nutella lovers. Recommended if you prefer something sweeter and less fruity. 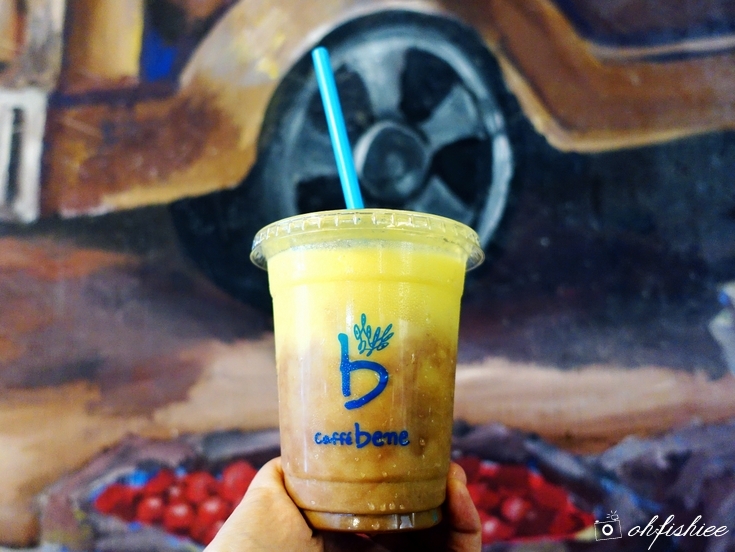 Another icy, thirst-quenching item in this Mangotella series which we try is the Mangotella Smoothie. Honestly I am curious about how does the mango taste when combined with sweet Hazelnut cocoa spread. Taking my first sip of the smooth creamy drink, the flavour is very well-balanced. I can taste the refreshing sweet fruit and at the same time, sweet cocoa richness too. Perhaps it is just too unique for me, hence I am not a fan of this. The Mangotella series is not just about icy cold desserts! 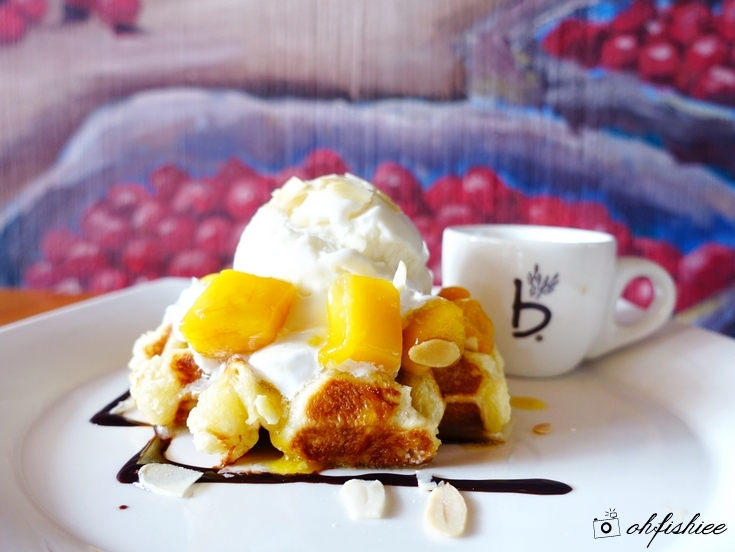 As I recall my previous dessert session at Caffe Bene, the signature hot items here – both Belgian waffle and thick toast – are super good! 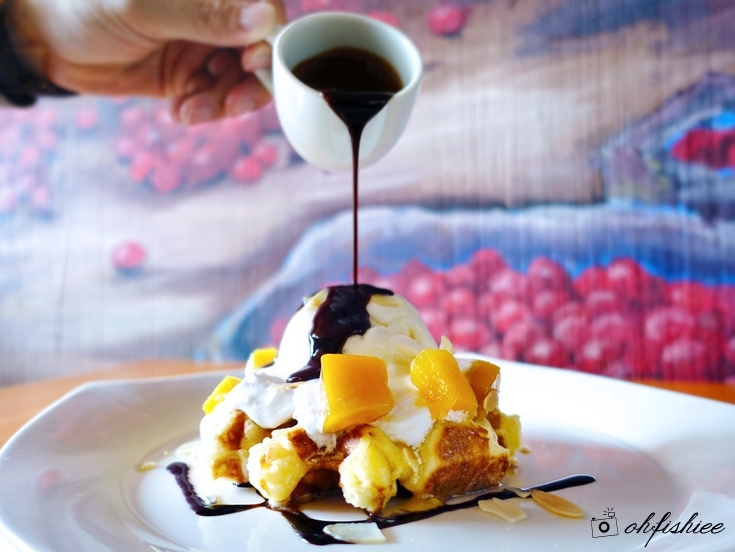 Specially created for the best of Mangotella sensation, the warm Belgian waffle is beautifully decorated with sweet mango chunks, almond slices and Yogurt gelato before finishing off with a drizzle of decadent Nutella sauce. It may be a tad sweet for me, nevertheless I appreciate the crisp and light texture of the waffle on its own. So if you are into Mango and Nutella desserts, head quickly to any Caffe Bene outlets in Malaysia to get your dessert fix before this limited time menu is gone!